The old war, a new generation. 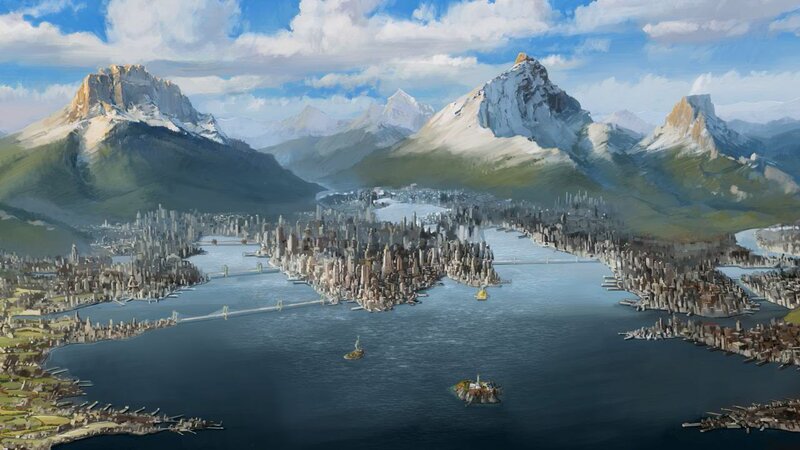 With the defeat of Avatar Aang, and of Ozai\'s airfleet, each nation is left vunerable. A new avatar has been born into the water tribes, and must restore balance to the world before it is engulfed in chaos. A full-length red robe covers his body, opened at the front. A black and gold pattern runs across the wrists, bottom, and waist of the robe. A light belt covers the sash across his waist, ordained by a golden buckle. Underneath his flowing robe lies a bare chest, accompanied by a pair of loose leather trousers. A set of boots sit upon his feet, laced up tightly. A glove embraces his left hand, whilst upon his right hand is a single ring. Description: A deep hawthorn staff, laced with ruby inlays across the shaft. At the ends, two orbs rest, glowing with an internal fire; the material of these orbs is unknown to Aestuo. Abilities: Fire-bending abilities can be manipulated through the staff – boosts the volatility of Aestuo's fire-bending, whilst also increasing its unresponsiveness. Aestuo is an authority-led person, with his main goal in life being to serve the Fire Nation to the best of his ability. An aggressive Fire Bender, even for Fire Nation Standards, he doesn't hesitate to eliminate a target, whatever the circumstance. Short tempered, easy to anger. Makes rash moves in the face of danger. Aestuo grew up in a quiet part of Chung-Ling city, where his father had been posted as a high-ranking official of the fire nation military. He was kept off the streets by his mother, who was worried for the safety of her only child in such a raucous city. At age 12, Aestuo was present at a demonstration of fire-bending by several fire sages who had came to visit the rulers of Chung-Ling. During the demonstration, one of the sages slipped, sending a torrent of flame whizzing towards Aestuo, who sat on the front row. Acting instinctively, he raised his arms, and successfully redirected the fire into the air, to the astonishment of the sages. After his display of fire-bending, the sages took Aestuo away to one of the fire temples, where he was trained as one of them. He formed a close bond in particular with Fire Sage Arkva, who became his mentor, teaching him many tricks and techniques of fire-bending. At age 15, Aestuo was ready to be initiated into the fire sages, and was preparing for the ceremony that would make him a full member. 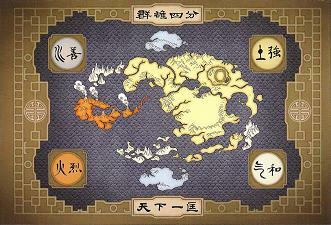 The night before, however, his father appeared at the temple, at the head of a host of Fire Nation soldiers. The small contingent of soldiers entered the temple, much to Aestuo's dismay. In a fit of panic, Aestuo rushed to Fire Sage Arkva's room, only to find that his father had got there first. As Aestuo watched in horror, his father killed Arkva, before turning to Aestuo. He told his son about the traitorous actions of the Fire Sages, and that they would all be killed in the name of the Fire Lord. As Aestuo was not yet a fully fledged Fire Sage, he would be safe. Aestuo disliked what his father said, but was always respectful to authority. Packing up his belongings, he left the next day with the army, and lived back in Chung-Ling city. As he left, however, he grabbed something to remind him of what had happened – the ceremonial robe of a past Avatar, and the staff of the Head Fire Sage. Years passed, and Aestuo began to re-learn fire-bending from a master who lived in the city. This teacher, however, was not only weaker than Aestuo, but also knew of less techniques. Finding himself holding back in lessons so as to not hurt his instructor, Aestuo began to practise secretly of a night. Before long, he found his powers increasing. One night, whilst in a particularly rebellious mood, Aestuo donned the Fire Sage's robe and staff, and fled the city. For weeks he lived in the mountains surrounding the city, training his fire-bending in the way of the sages, remembering their teachings. He found that the staff amplified his natural fire-bending abilities, whilst his robe seemed to deflect any stray flames that licked at him. After six months in the wild, living off animals that he hunted, Aestuo returned to the city. Hopeful of a warm welcome, he was shocked to find that his family had moved to a different city, not even leaving any clue as to where they had gone, nor any sign that they had even searched for their lost son. Enraged, Aestuo released all of his power upon their old house, utilising a technique taught to him by Fire Sage Arkva, the Bellator Extraho. The flames quickly engulfed the whole house, before moving out of the young fire-bender's control, and destroying a large portion of the city. Disgusted at his actions, Aestuo fled back into the wild, before collapsing in the cave that he had called home for six months. Before darkness consumed his sight, a single thought crossed his mind. I would also like to apply for the position of Fire Lord against Keel. The decision is yours as to who you choose, and I won't be dis-heartened if you choose Keel. Updated; my mouse has trouble copy and pasting every now and then. And that's fine; am I free to RP now?